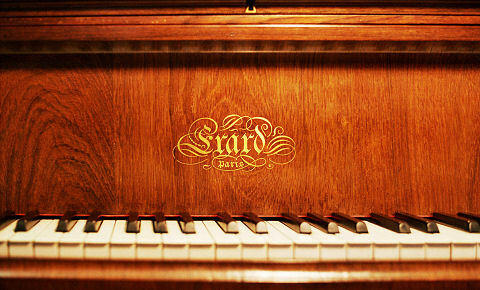 Erard, Paris, 1893. A more modest-sized piano than the concert model, this Erard has the clarity throughout its range that distinguishes pianos by this firm. It has been used for concerts in smaller halls where the larger instrument would be overpowering. 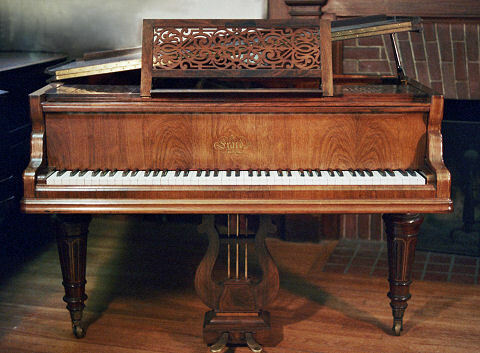 It is particularly suited to French music of the late 19th and early 20th centuries and is the same model as the piano owned by Ravel.